Are you ready to commit to the new look? You either love them, or you hate them, there is no in between. Curious as to what I'm talking about? A few things may have crossed your mind but in this instance I am talking about the fashion trend that never seems to really go out of style: bangs. You most certainly had them as as a child, but as you grew older they were only a thing of the past. But as years continue to go by, it seems the bang trend comes and goes. After much contemplating, or really not that much and more of a quick decision, I decided to go the cut and get bangs. Was I terrified? Yes. Was I nervous I would hate them? Yes. But it turns out I did love them for a good while. If you are thinking about taking the dive and cutting your hair with an addition of bangs, you may want to consider some things first. Below I have compiled a list of important things to think about before taking those scissors straight across your forehead as you watch pieces of your hair flitter to the ground in front of you. Do you have time in the morning to style? Just like when you have short hair versus long, you need a few extra minutes in the morning to style those bad boys. Sometimes if you hair is done just right the day before, your bangs may miraculously lay just the way you want them to. But that is a slim chance. Most days you will need to factor in a block of time to blow dry those bangs out, and then style as you wish. You will also need to factor in them not turning out as planned and extra time to figure that one out. If you are a person who just gets up and heads right out the door, bangs may not be the best for you. Or consider a lifestyle change to accommodate to them. Gross. But yes, something you need to factor in! If you haven't had bangs before, you are not used to something being across your forehead at all times and not a way to really pin them back at first. Throughout the day, if you tend to get hot and clammy, you can bet those bangs will not stay out and perfectly styled, rather start sticking to your forehead and turn to looking greasy. Take into consideration how the bangs will make your skin feel too, it may just cause a few reactions such as some unwanted pimples. Of course there are headbands, how would I or anybody else survive without them?! But think about this, while you can use a headband to push those bangs out of your face, they will not look like they did before when you remove that headband. If you are planning on showering right after and are done for the day, that's great! But just remember if you need to be somewhere and want your bangs looking on point, this may be an issue. 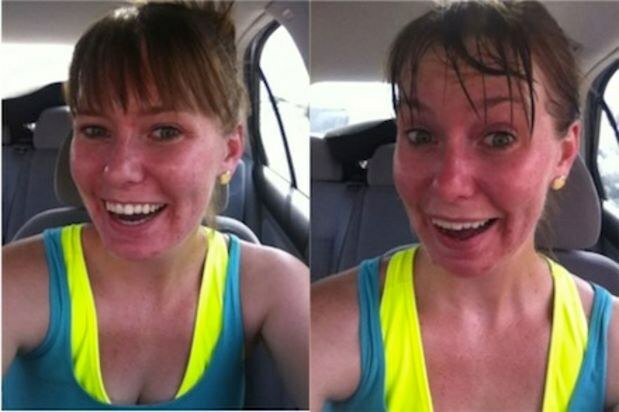 Us ladies don't always wash our hair after every workout, just because it may not be necessary like washing our bodies. But if you are hoping to get the perfect hairstyle without washing, your bangs may now cause you a bit of trouble. Can you deal with something looming above your eyes? It may seem silly, but will it bother you having something always fall in your eyes or be laying right above? If you are going to be constantly pushing them out of your face and keep touching them, 1. they will just get gross and greasy, 2. what would even be the point of having bangs? Bangs are meant to be part of your hairstyle, not something to be constantly clipped back. Will it bother you going in to get trims more often? Usually you will go to get a haircut every three months or so, or maybe even less if your hair isn't your biggest concern. 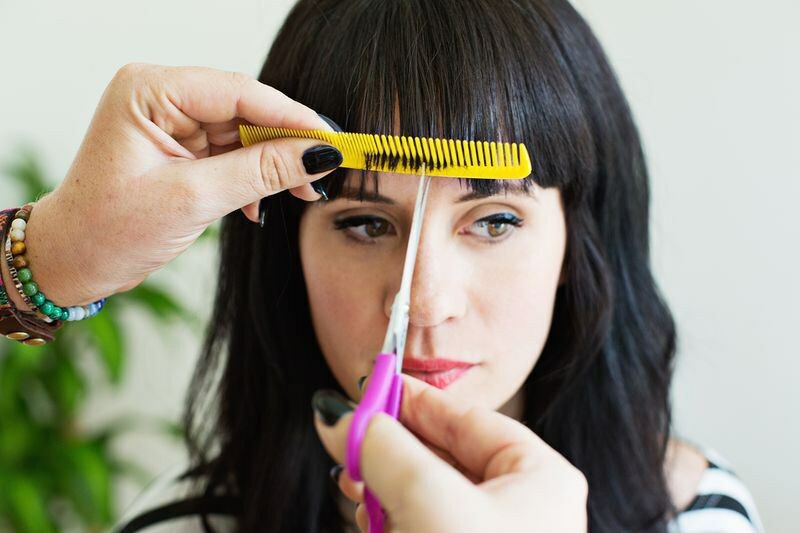 But if you want to keep those bangs exactly as you want them, you will need to get them trimmed more often. It's surprising how fast they actually grow, and you'll want to be on top of it. So can you calculate in a few more trips to the salon and a few more deposits spent on your hair? Do you have the patience to grow them out when you don't want them anymore? I am currently in the process of growing my bangs out, and let me tell you, it isn't no walk in the park. It definitely isn't as bad as everyone makes it seem, but it isn't the most enjoyable thing either. If you have bangs that go straight across, the process is going to take a lot longer than if you just have side bangs. You can get away with styling them as bangs should be, but eventually it comes down to a lot of tiny braids, bobby pins and hair clips, and headbands. I am almost to the point where I can tuck them behind my ear, woohoo! But definitely take this into consideration. It isn't just a quick fix, bangs to no bangs. You need to have patience and eventually your hair will be as you please. While all this may seem like a lot of daunting things to consider, I am not trying to sway you away from cutting your hair and getting bangs! I loved mine, and there are tons of people who do too. I didn't have mine for very long just because I was pleased with how they were, but was ready for something new again. Others though have them for months, even years long! Don't be afraid to get bangs, it really isn't that scary. Just make sure you consider these things for at least a little bit of time so you know what you are getting yourself into. I honestly think bangs are something everyone should do at least once in their life, excluding when you were a child. Change things up, be fearless!